Is the examined life more rewarding? Students can discover the answer for themselves as they explore belief systems, logic and ethics as well as celebrated literature, art and music from past and present. Faculty in the Philosophy and Humanities Department offer thought-provoking lectures and engage students in lively discussions that illuminate the human experience. 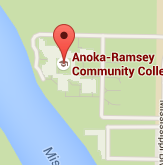 The Philosophy and Humanities Department does not offer a degree. The department offers courses in two disciplines: Philosophy and the Humanities. Courses include a Comparative Religions course, which explores the idea of the sacred according to different faith traditions. Humanities courses explore celebrated cultural expressions from a variety of cultures, past to present. 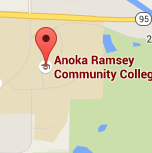 Philosophy and Humanities courses at Anoka-Ramsey satisfy certain Minnesota Transfer Curriculum (MnTC) requirements. Philosophy and Humanities are related fields of inquiry into the human mind and the human condition. Philosophy involves the art of wondering while Humanities involves the art of being. Philosophical questions include the nature of reality, knowledge, values and ethics. The study of philosophy introduces students to a long tradition of arguments in response to one another, with each argument meant to improve upon the last, thus opening the student to new and profound insights. various forms of expression.